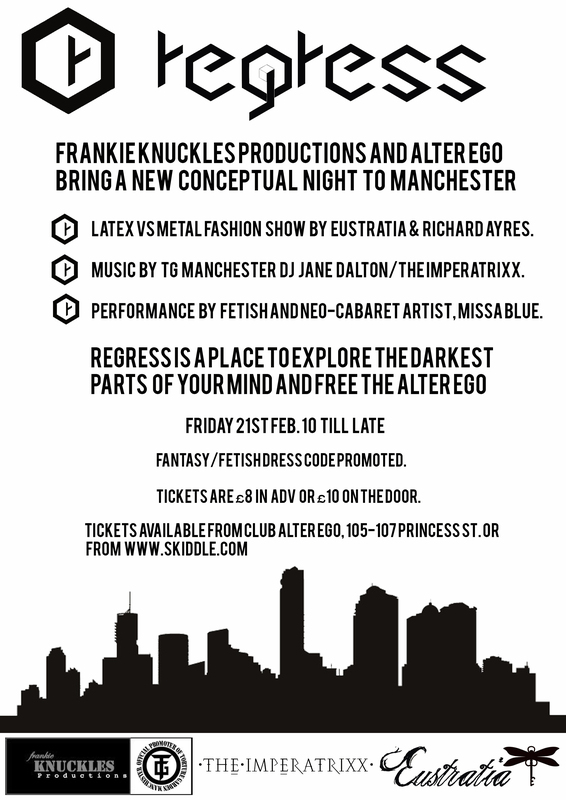 The date for the second Regress: into your alterego club night has finally been announced, it’s on the 21st of Feb. at club Alterego on Princess st. A Frankie Knuckles production. This time I used an older image of myself by Mike Brown for the flyer. I was struggling to find one that fitted in with the theme and was please when I came across this one. 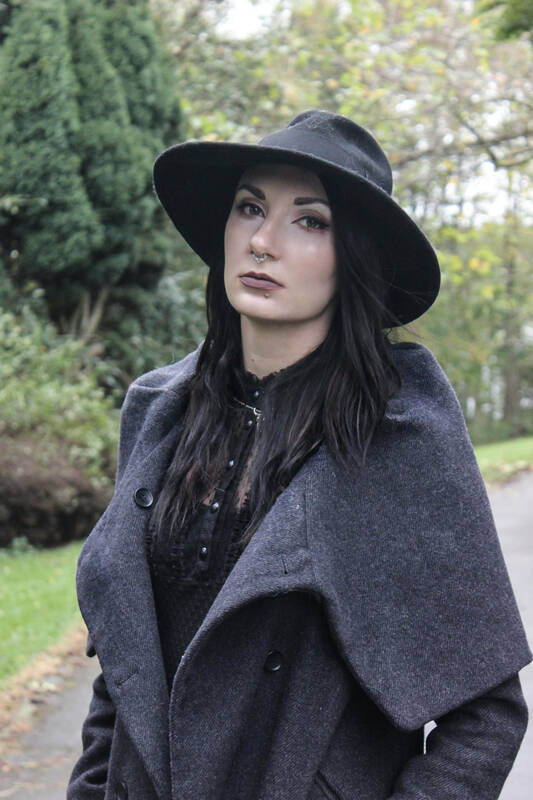 It features wardrobe by Eustratia and Richard Ayres who will be collaborating on the fashion show this time. The theme of the show is Latex vs Metal and it will have a dark and atmospheric feel. 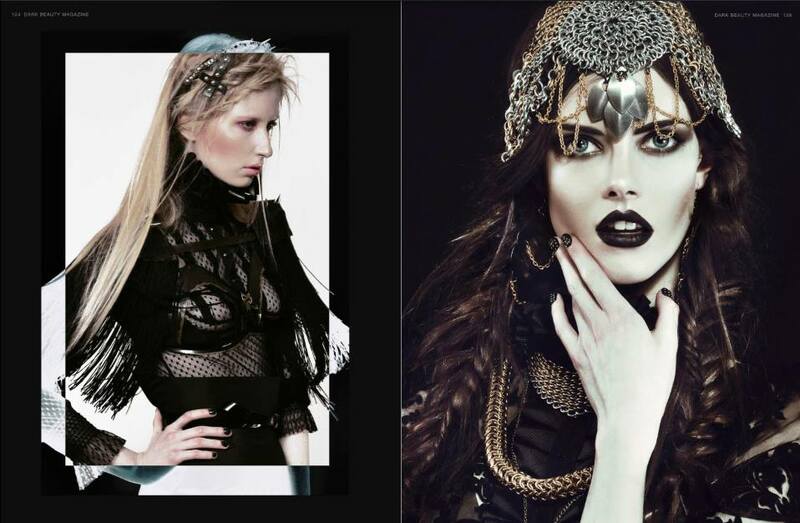 Image: Rebecca Cordell and Emma Owens by John Cubilan for Dark beauty magazine. Wardrobe and styling by Eustratia and Richard Ayres. Art direction by Cello. 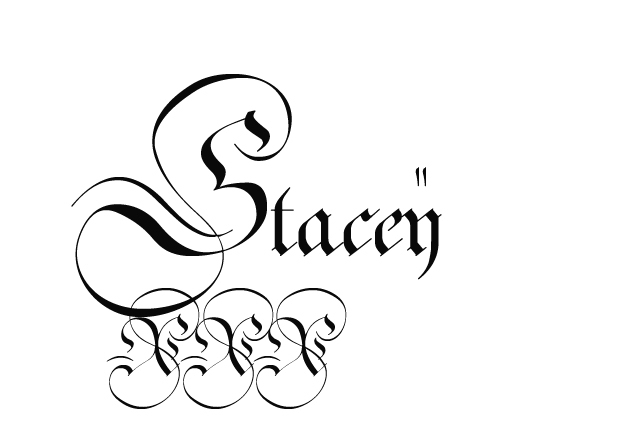 Music will be provided by TG Manchester DJ Jane Dalton and her alter ego, the Imperatrixx. A sample mix is available here. The whole thing will be documented by NVS Films.